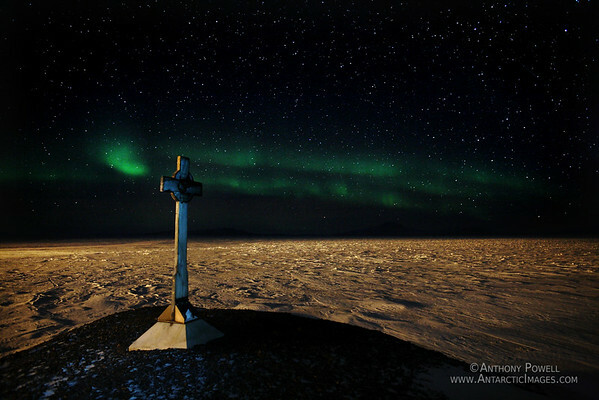 Vince's Memorial Cross, Hut Point, Ross Island, Antarctica. Aurora Australis in the background. The snow is being lit up from the lights of McMurdo Station. Thank you for the totally stunning and awesome photographs, particularly of the auroras. I just marvelled at the beauty of the place. Definitely not your average photo op...fantastic image.